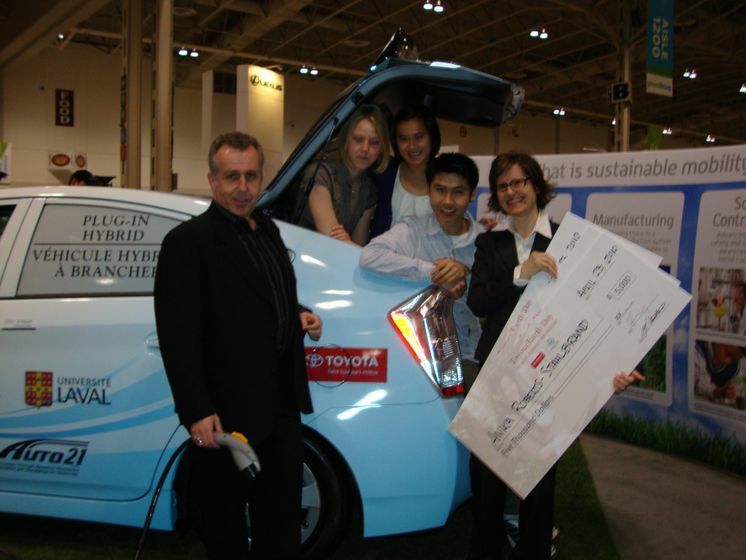 TORONTO, ON – April 23, 2010 – Taking more control of their environmental footprint, Torontonians are headed to the Green Living Show in Toronto this weekend. Part of the Green Living Shows since its inception, Toyota is proudly displaying its Prius Plug-In Hybrid and exclusively sponsoring the Farm Fresh Fare feature. 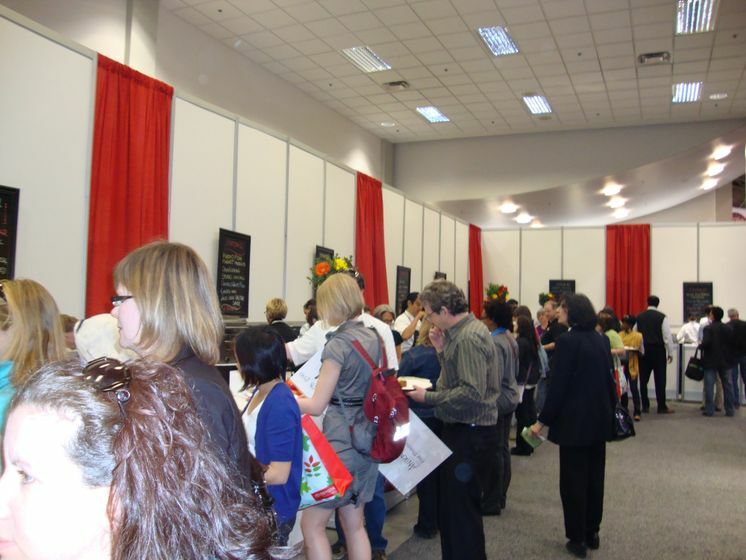 Toyota Canada is also the exclusive and presenting sponsor of the Farm Fresh Fare feature at the Green Living Show, which lets attendees sample sustainable food from local farmers and producers, prepared by Toronto chefs. 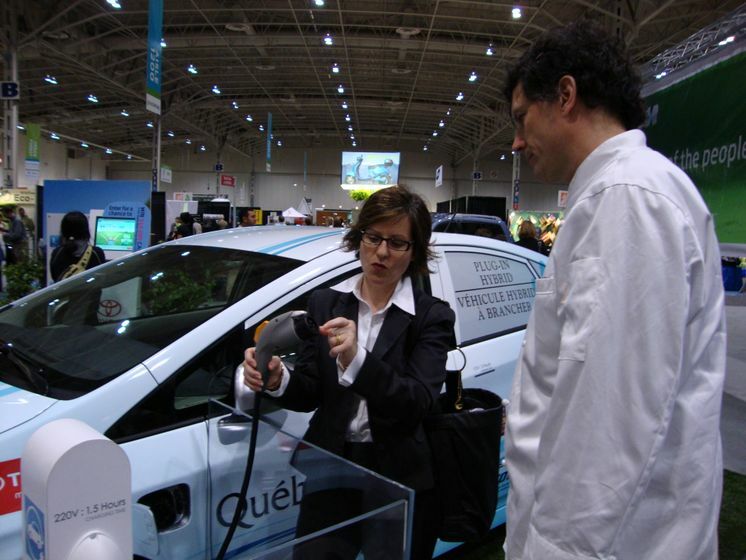 The Prius Plug-In Hybrid (PHV) is on display at the Toyota Canada booth, giving attendees an opportunity to see, first hand, the evolution of the most popular advanced technology vehicle on the planet. The Prius Plug-In Hybrid delivers all the benefits of a conventional automobile, plus tremendous fuel efficiency and emissions performance, and gives drivers even more control over their environmental footprint. The Prius Plug-In Hybrid delivers all the comfort, convenience and versatility of a conventionally-powered mid-size vehicle, plus the remarkable fuel efficiency of the world’s most proven hybrid power system – Toyota’s Hybrid Synergy Drive. And then it does more: With a full charge, the Prius Plug-In Hybrid can reach a top speed of more than 100 kilometres per hour on battery power alone, and delivers an electric-only range of approximately 20 kilometres. Research on Canadian driving habits shows that this performance will satisfy the needs of most daily commutes. 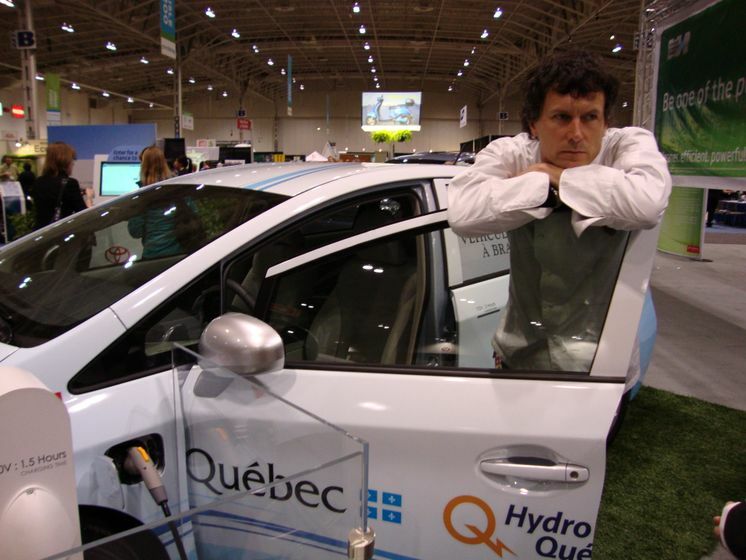 “The Prius PHV is an important step towards the transformation of the auto industry away from traditional, liquid fuels, and we are already testing five Prius PHV models in Canada as part of Toyota’s global, real-world trials as we prepare to introduce the plug-in hybrid to the world’s motorists,” added Sandy Di Felice. Toyota Canada’s sponsorship of Farm Fresh Fare, hosted by Evergreen and Slow Food Toronto, serves up a delicious menu of sustainable, locally-produced food guaranteed to satisfy discriminating palates. What’s more, funds generated by this popular feature will support charitable activities by Evergreen and Slow Food Toronto, such as creating food garden programs at schools across the Greater Toronto Area. Toyota Canada Inc. (TCI) is the exclusive Canadian distributor of Toyota and Lexus cars, SUVs and trucks, and Toyota industrial equipment. TCI’s head office is in Toronto, with regional offices in Vancouver, Calgary, Montreal and Halifax and parts distribution centres in Toronto and Vancouver. Toyota has a rich history of respect for people and the environment, continuous improvement and giving back in the communities where associates and customers live, work and play. It’s why Toyota Canada Inc. and its Dealers align with like-minded organizations like Evergreen. Since 2001, Toyota Canada has partnered with Evergreen in support of the Toyota Evergreen Learning Grounds program. Evergreen is a not-for-profit organization that makes cities more livable. By deepening the connection between people and nature, and empowering Canadians to take a hands-on approach to their urban environments, Evergreen is improving the health of our cities—now and for the future. Since 1991, Evergreen has fostered healthy sustainable communities and increased awareness about the importance of nature in Canada’s cities by providing Canadians with the tools and knowledge to become stewards of the environment in their communities. 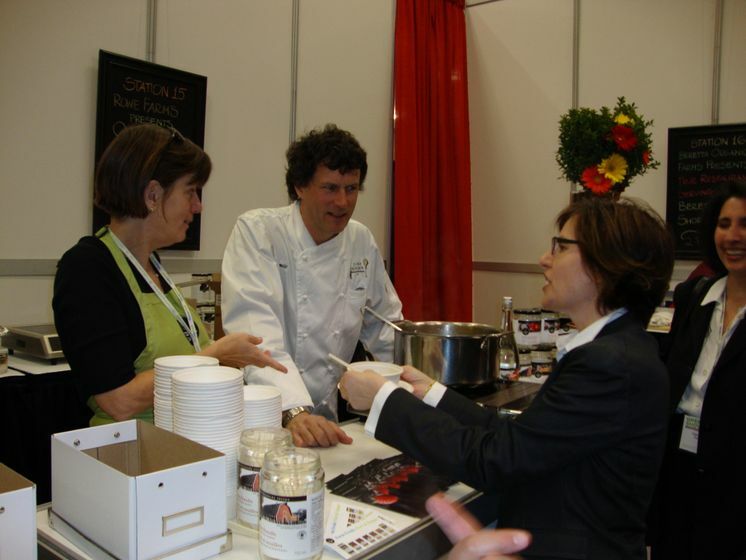 Celebrity chef and environmental advocate Jamie Kennedy, serving homemade chicken noodle soup at the Farm Fresh Fare at the 2010 Green Livin Show.